Pathology is a field that’s rapidly evolving, in parallel with advances in precision medicine and a trend toward sub-specialization. 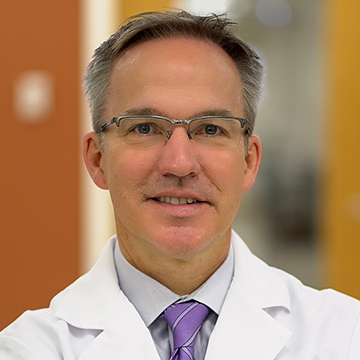 Daniel Brat, MD, PhD, a neuropathologist who has spent nearly two decades studying diffuse gliomas, is spearheading this evolution within the arena of brain tumor diagnostics while straddling the line between scientific investigation and the practice of medicine. "There's about 15,000 of these types of tumors that occur in the U.S. every year and almost all of them are ultimately fatal." Daniel Brat, MD, PhD, is a neuropathologist and scientist who has spent nearly two decades studying diffuse gliomas — the most common type of brain tumor — and the mechanisms that drive their progression. His basic and translational research has led to a number of breakthrough findings, including the identification of a novel way of classifying gliomas based on their genetic makeup. His work has had an enormous impact in the field of diffused gliomas, the most common type of primary brain tumor that affects both adults and children. Daniel Brat: “Diffuse gliomas are a family of primary brain tumors, and they're characterized by a neoplastic glial cells. So cancerous glial cells, which are basically normally the glue of the brain, glial means glue. For whatever reason, these cells become transformed and infiltrate the brain individually as malignant glioma cells. They come in a large number of types based on the way they look under the microscope and by the molecular makeup and, based on those features, they behave very differently. " The one thing these tumors have in common is that they can't be completely respected by a neurosurgeon, so there's always residual tumor left in after the operation. This leads to recurrence of the disease and, in spite of being treated by radiation therapy and chemotherapy, is ultimately fatal. Daniel Brat: "But the life expectancy ranges from six months to over 20 years, and the responsiveness of these diseases to chemotherapy and radiation therapy also varies tremendously based on their molecular makeup. So they are a devastating group of diseases. I think most people are aware that John McCain, for example, has a diffuse glioma, the highest-grade form Glioblastoma. Ted Kennedy had a Glioblastoma, which is in this family, and Bo Biden, Joe Biden's son also had a Glioblastoma. So, these tumors aren't that common, we pay a lot more attention to them when they occur and famous people, but the unfortunate fact is that there's about 15,000 of these types of tumors that occur in the U.S. every year and almost all of them are ultimately fatal." In the past five years, there has been a very large shift in our understanding of the diffuse gliomas, and it is one of the diseases that has been almost completely redefined based on the genetic makeup of the classes. Brat was a lead on an investigation by the Cancer Genome Atlas Project, which was a very large, multi-institutional, international study of specific forms of cancer. They determined that these diseases were better classified by their molecular makeup, then by the way they looked under the microscope. Read more about Brat's contribution to changing how to classify gliomas based on their genetic makeup, published in the New England Journal of Medicine in 2015. Daniel Brat, MD, PhD, has nothing to disclose. Erin Spain: This is Breakthroughs a podcast from Northwestern University Feinberg School of Medicine. I'm Erin Spain, editor of the monthly Breakthroughs newsletter. Today we're talking to someone who's had an enormous impact in the field of diffused gliomas, the most common type of primary brain tumor that affects both adults and children. Daniel Brat: My name is Dan Brat. I'm the chairman of pathology here at Northwestern. I'm also the pathologist in chief at Northwestern Memorial Hospital. Erin Spain: So, Dr. Brat, you just started your position here at Feinberg in September, but I want to welcome you and I'm wondering how are you settling into Chicago and Northwestern? Daniel Brat: Well, thank you for the invitation. I am enjoying Chicago and Northwestern. I knew that I would. I'm from the upper Midwest. I was born and raised in Michigan and then went to high school in Minneapolis, St Paul, and as you know, Chicago is kind of the capital of the Midwest. So most of us that were raised in this area have had weekends away in Chicago. And, I've always been hard and intimidated and wowed by the city. You know, the massive, a skyline, the lakefront, just the overall beauty of the city. So, I think for Midwesterners it's very attractive as a city and then Northwestern is right in the heart and soul of Streeterville, right downtown Chicago, you couldn't ask for a better match of academic medical center in downtown areas. So, I knew I would love that combination. I'm a big fan of the city and a big fan of, of Northwestern and the school of medicine here. Erin Spain: You have a little family history here at Feinberg too. Isn't that right? Daniel Brat: Yes, I do. And in fact my father was just in town because it was his 55th reunion from the school of Medicine graduation. So, he went to the school of medicine at Northwestern when it was a varied different academic medical center, a very different school of medicine. I think there's only three buildings still here since his time. Erin Spain: At what point in your training as a physician scientists, did you become interested in pathology? Daniel Brat: Yeah, that's a good question. And one that is of interest to a lot of people because a lot of people don't know that much about the practice of pathology. It's a bit mysterious to even a lot of physicians, but I would say that I was always fascinated by the brain itself and thought it was just an amazing organ that really directs our behavior, defines who we are. So I came at pathology from the neuro aspect, the brain aspect, and, you know, I had, had considered fields like neurology, psychiatry, neurosurgery, and then finally, very late in my MD/PhD program, I did a rotation in neuropathology and I was just amazed by the field. That you would sit at a microscope with slides from a biopsy, from a patient look at it, analyze it, do additional tests on it and come up with a diagnosis. And, I think it was being a part of that process, understanding how critical establishing a diagnosis is a for patients and their care because that becomes the disease and the label they carry forward that dictates how they're going to be treated. And ultimately their prognosis, what their clinical outcomes are, going be. Erin Spain: Pathologist touch so much of what happens in patient care. I think you have a stat about that then number of clinical cases that are impacted by pathology. Daniel Brat: Yes. I, I think people underestimate how much diagnostic testing and how many laboratory tests that we do, it's estimated that about 70 percent of the electronic medical record is actually pathology data. So a lots of data gets generated on a yearly basis. We do 13.5 million tests a on an annual basis and all of that goes into the patient records. And there's also been asked at estimated that about 70 percent of clinical decisions by treating clinicians are impacted by laboratory testing. So it has an enormous impact on the management of patients. Erin Spain: Tell me a little bit about diffused gliomas. I know this is a disease that you've been studying for almost two decades on. Can you tell me a little bit about these tumors? Daniel Brat: Yes. So the diffuse gliomas are a family of primary brain tumors and they're characterized by a neoplastic glial cells. So cancerous glial cells, which are basically normally the glue of the brain, glial means glue. For whatever reason, these cells become transformed and infiltrate the brain individually as malignant glioma cells. They come in a large number of types based on the way they look under the microscope and by the molecular makeup, by their molecular makeup and based on those features, they behave very differently. The one thing that they have in common is that they can't be completely resected by a neurosurgeon, so there's always residual tumor left in after the operation and that leads to pay to the recurrence of the disease, in spite of being treated by radiation therapy and chemotherapy. And all of these diseases are ultimately fatal. ,But the life expectancy ranges from six months to over 20 years. And the responsiveness of these diseases to chemotherapy and radiation therapy also varies tremendously based on their molecular makeup. So they are a devastating group of diseases. I think most people are aware that John McCain, for example, has a Diffuse Glioma, the highest-grade form. Glioblastoma. Ted Kennedy had a Glioblastoma, which is in this family, and Bo Biden, Joe Biden's son also had a Glioblastoma. So, these tumors aren't that common, we pay a lot more attention to them when they occur and famous people, but the unfortunate fact is that there's about 15,000 of these types of tumors that occur in the U.S. every year and almost all of them are ultimately fatal. So we need a lot better understanding of these diseases, a lot better ability to treat these types of tumors as well. Now in the past five years there has been a very large shift in our understanding of the diffuse gliomas and it is one of the diseases that we have almost completely redefined based on the genetic makeup of the classes. Erin Spain: And when you say we, you have a lot to do with that. tell me about your role and how the Gliomas are now classified and defined. Daniel Brat: Yeah, we, we as a group, nationally, and me individually have been very interested in trying to redefine these tumors at the molecular level. I was the, a lead of an investigation by the Cancer Genome Atlas Project, which was a very large, multi-institutional, international study of a specific forms of cancer. I was in charge of what's called the lower grade gliomas effort. And in this particular instance, we collected samples, we analyze them at the molecular level for gene expression mutations, amplifications, fusions, methylation, a whole lot of molecular analyses and integrated all those findings. And what we've, what we determined was that these diseases were a better classified by their molecular makeup, then by the way they looked under the microscope. Erin Spain: This is a big difference. Erin Spain: Because there's so many other countries in the way that they practice medicine to incorporate something this new can be a bit of a struggle for maybe more developing nations? Daniel Brat: Yes. And that, I think was the underlying philosophy of the World Health Organization. They took the word world very seriously, and for good reason, they didn't want to create diagnostic categories of disease that the majority of the world couldn't use because they didn't have the testing available. Many of these tests can actually be done in a relatively applied fashion by immunohistochemistry and don't take next generation sequencing to perform. So, there are applications that the vast majority of the world can employ to make these diagnoses. I would say, first of all, but second of all, once you understand these diseases at the molecular level, there's really no turning back. We have to be concerned about patient care and patients are better served a knowing about their disease at the molecular level and directing their care based on that rather than having a diagnosis under the microscope. So, in a sense, we knew too much about the different behaviors of these types of brain tumors based on their molecular profiles to go back to the microscopic diagnosis only. Erin Spain: So it'll be a learning curve for some. But as you said, they should be able to use other countries, they should be able to find ways to get the testing done. Daniel Brat: Yes, yes. And it still is a learning curve. Even though that New England Journal of Medicine article came out in the summer 2015, I am still asked to travel internationally to talk about that. I'm going to Hong Kong to discuss this molecular revolution and how we really apply these findings to our daily practice. So there's, there's one thing to have the discovery based on these amazing molecular platforms, but there's also a more practical aspect of patient care and how do institutions implement these diagnostic tests on a more applied fashion that can be used in patient care. Erin Spain: Education is an important part of what you do. I mean, it sounds like you never stop teaching. You're going abroad to teach. You have trainees that you work with. Can you talk a little bit about education and education here at Feinberg and some of your goals when it comes to the academic arm of what you do? Daniel Brat: Yeah, that's a great question. And it's a very important one to what we do as academicians and I think of education as a very large concept and in fact, I view research as a form of education. It's educating at the leading edge of what's happening and it's educating the international audience a new findings. So there's all types of education from research that I think again, is a very forward looking form of education, to the education of our young faculty, two fellows that are sub specialized to our residency program, to our medical students and to undergrads thinking about going into medical school, as well as I'm training scientists within the laboratory to do more fundamental or basic research. So education is all encompassing, I think in a school of medicine like Feinberg, it's a part of our DNA. It's what we do, especially in pathology since we have our history in education. Like I said, throughout the Middle Ages we were educators and it came to healthcare in the early 20th century. So education is all pervasive. It's, it's part of what we do. If you're at a school of medicine like Feinberg and within a pathology department, all of the workflows are based on incorporating medical students, residents, and fellows into that workflow. So, when you hear about an academic medical center and you hear about a successful pathology department within one, that entire department revolves around the education of residents and fellows. Erin Spain: I wanted to give you the opportunity to share anything else that you're working on or that you'd like to mention that's happening here at Feinberg. Daniel Brat: Yeah, I would say that the way I portrayed the development of the diffuse gliomas as molecular entities, more than morphologic entities as we define them under the microscope, that's not a finished story. So, whenever you go through a reclassification that dramatic, there's going to be gaps in knowledge and gaps in practice and we are recognizing those gaps on a daily basis, on a yearly basis. And we as a brain tumor community internationally are working to fill those gaps in knowledge. So what we found for example, is that once you classify molecular diseases, the grading criteria that we used in the past to grade things as grade one, grade two, grade three, grade four, which really served to predict how patients are going to fair and what type of therapies they are going to need, all of those grading criteria needed to be recalibrated. And that's a significant undertaking as well. And we have certain initiatives within the international community through an organization called cIMPACT-Now and we as a group, including some colleagues here at Northwestern Feinberg School of Medicine, are writing the guidelines for new grading criteria for the diffused gliomas within the molecular era. So that's a very important advancement that we're taking part of. I'd also like to highlight the fact that the brain tumor community as a whole here is incredibly strong. And I would say in the last 10 years there's been a somewhat planned but somewhat unplanned renaissance of the brain tumor community here. And as a group, including neurosurgeons, a neuro oncologist, neuropathologists, radiation oncologists, and a tremendous group of basic scientists. We've put together a SPORE program, a SPORE grant that got a perfect score from the National Cancer Institute, and there's only a handful of institutions nationally that have these spore grants, so the fact that we got a perfect score and will get funded really puts us in an elite group nationally. We're very blessed here at Northwestern and Feinberg by the philanthropy that I think sets the stage for a lot of our success, so both the Lurie family and the Malnati family have been very generous to a cancer research and brain tumor research here and have a large part to do with the accumulation of so much talent that we have in a brain tumor investigation and cancer research. It's really been a remarkable era for the Brain Tumor Institute and the Cancer Center in terms of at least the capabilities and brain tumor research here. Erin Spain: So what it sounds like you're saying is this is a pretty exciting place to be right now if you're someone studying brain cancer, gliomas, brain tumors? Daniel Brat: Yes it is. I think it's one of the world's best and since success breeds success, I can only see it increasing in strength over time and in size. I, I think the leadership of the School of Medicine have understood that this is a very unique time and a cancer type that is worth investing in and I think it will show the way for other groups to follow here at Feinberg, how to amass a group of individuals that work extremely well together, are collegial towards one another have common goals and can really build an internationally recognized group of investigators.